When we don’t have enough resources to buy the essential needs of a human being we are considered as poor. However, for most people, being poor is most often a state of the mind. Of course, you cannot tell someone who literally doesn’t have anything to eat, that being poor is a mindset. But even those people who cannot buy food can always give something. Most people who live like they are poor have actually more than most people, it’s just that they do not see it, and that’s why they are even poorer than people who cannot even eat. By seeing ourselves in the story of a poor man who asks the Buddha why he is in such a situation our eyes can be opened. The Buddha has a way of opening our eyes to things that truly matter when we fail to see them. Poor man to Buddha: “Why am I so poor”? Buddha: “You are not giving enough”. Poor man: “But I have nothing to give”. 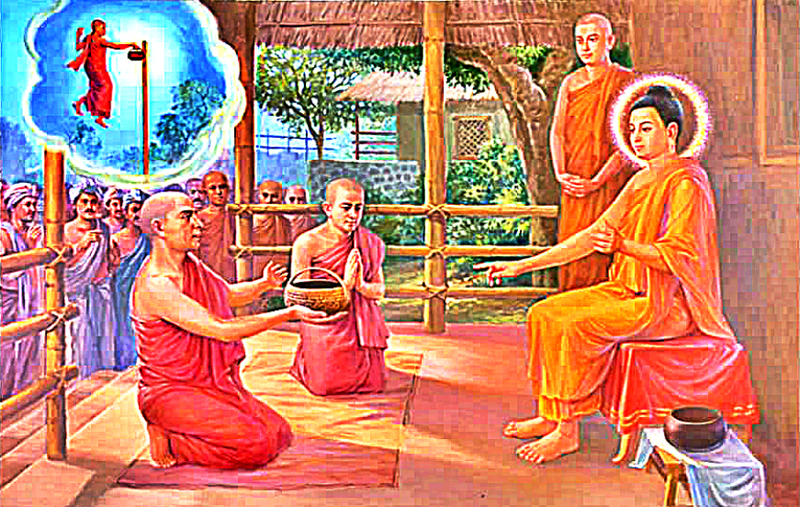 Buddha: “You have at least 5 things to give. Your body. You can use your own labor to help others. See, you are not poor at all. Poverty lives in our heart”. This story can be likened to a fish swimming in the ocean, yet asks everyone it encounters if they know where the ocean is. At times, all we need is to see beyond our own perception because it might be the only thing that blocks us from seeing every possibility. Our idea of poverty may be the stumbling block why wealth hasn’t come knocking on our doors yet. Realizing that we’re not totally poor, that we always have at least 5 things to give, is the first step to attracting the good things to come our way.